Tagaytay People’s Park in the Sky is located in the summit of Mt.Gozales in Tagaytay City, Cavite. The park was originally an unfinished mansion known as the Palace In the sky which was built during the Marcos era. 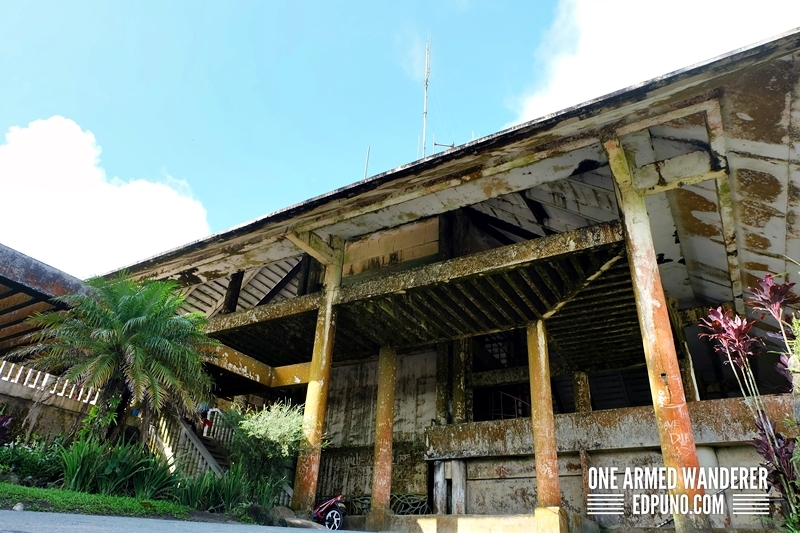 What’s left today is the unfinished and rusting structure of the supposedly mansion. During our second day in Tagaytay, Jen and I left Crisanta’s Bed and Breakfast early to catch the sunrise at Tagaytay People’s Park in the Sky. We arrived at the park at around 6:30 AM and soon found out that it opens at 7:30 AM. As we waited, tourists started pouring in. We ended up falling in line as the park opens. I was surprised that the park has a 30 Php entrance fee. Aren’t public park supposed to be free? Among all the Philippine public parks I’ve visited, it was only Tagaytay People’s Park in the Sky chargers entrance fee, I told my company Jen. We proceeded anyway thinking that the entrance fee might be for the maintenance of the park. Just behind the park’s gate are jeepneys that bring visitors to the highest point of People’s Park in the Sky. Fee is 5 Php each and 40 Php for special trip. Alternatively, you can walk on your way up to the peak. Since the park just opened and the jeepney that brings guests to the peak was fully occupied, Jen and I decided to walk. While walking uphill, I noticed a number guests taking groupies and selfies with the plain view as their background. At that point, I was just focused on reaching the highest peak. I did not stop to take any photos as there was no Instagram worthy view. We reached the Shrine of Our Lady, Mother of Fair Love. 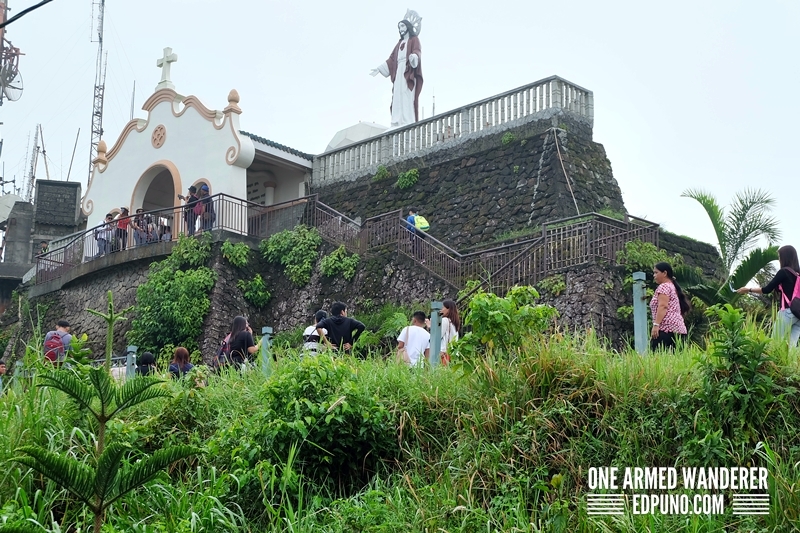 Built in 1974 and was formally inaugurated by Bishop Luis Tagle in 2003, the shrine is one among the most photographed spot in the park. If you get tired and hungry, there are a number of stores selling drinks and snacks. I was dismayed that the use of cottages are charged 100 Php given that this is a people’s park. Jen and I continued walking uphill until we reached this rustic old structure which is supposedly the unfinished “Palace in the Sky”. Well, the structure looks old and abandoned but it I actually liked it. It looks hunted but can be a good location for professional photo shoots. 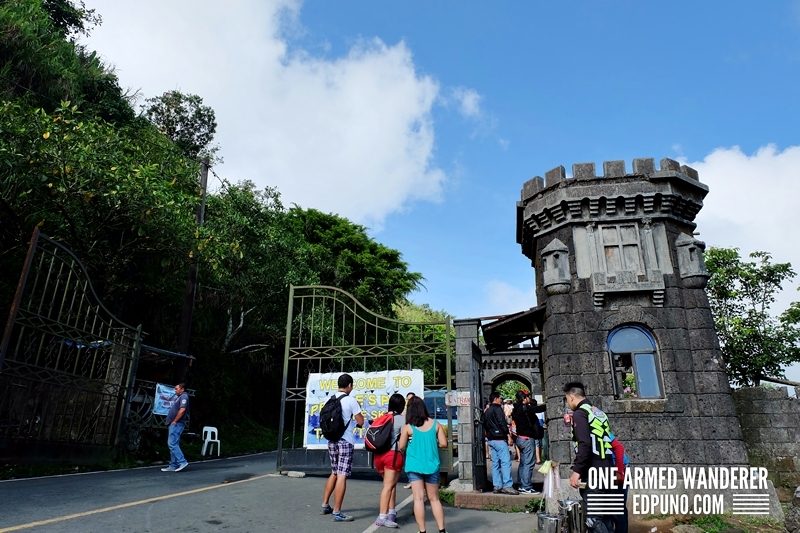 As we entered the structure, we were welcomed by the beautiful panoramic view of Tagaytay. The breathtaking panoramic view compensated my earlier disappointments with Tagaytay People’s Park in the Sky. If you are looking for activities, there is nothing much to do in People’s Park in the Sky. 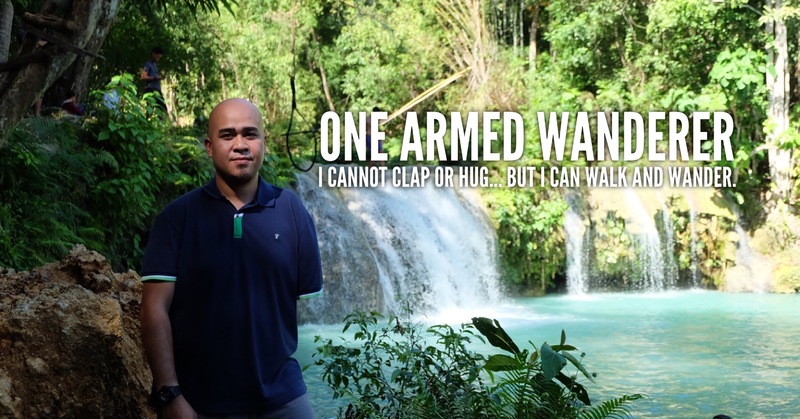 Well, except for sightseeing and having your photo taken while riding a horse for 20 Php. How to get to Tagaytay People’s Park the Sky? commute: From Tagaytay circle, take jeepneys bound to the park. Fare is 17 Php. 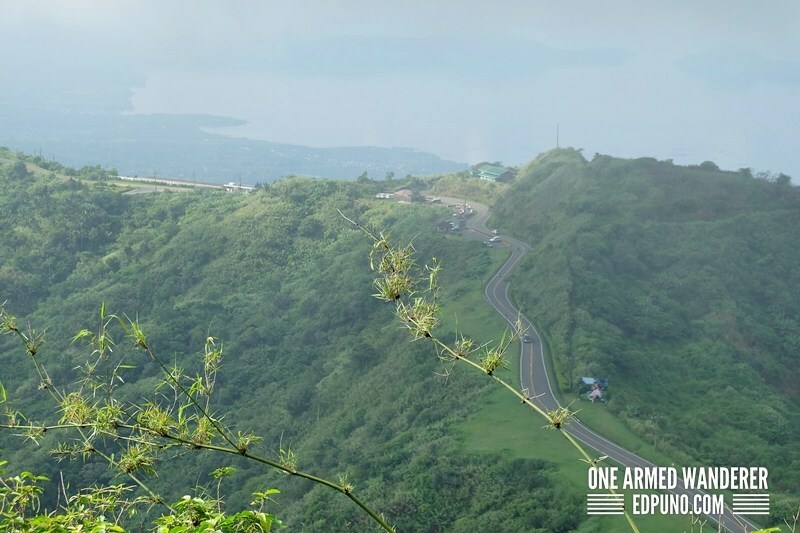 by car: From Tagaytay circle, head to northeast of Tagaytay via Tagaytay-Calamba road. Well, I should say that expected too much before visiting Tagaytay People’s Park in the Sky. There are fees everywhere. From the parking to the entrance and even the use of their cottages were a bit off. The park could have been better if there is a proper maintenance and efforts to improve the place. 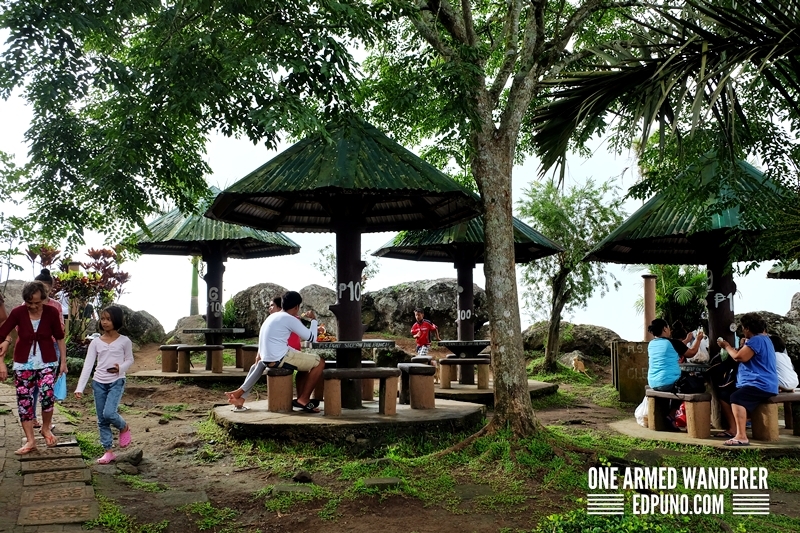 The only highlight of our Tagaytay People’s Park in the Sky tour were the beautiful views. Visiting Tagaytay? Online hotel booking here. Previous Article← Where to Eat Cheap Bulalo in Tagaytay?